A Blues & Jazz inspired CD of Classic German Christmas Songs, featuring Herbert Quelle ( the German Chancellor General of Germany to the United Stated of America) on Harmonica. What, is it already Christmas again? Well, no. I just wanted to be early to make sure everything is in place for the Holiday madness. To learn all about it just click/tap on the photo below. 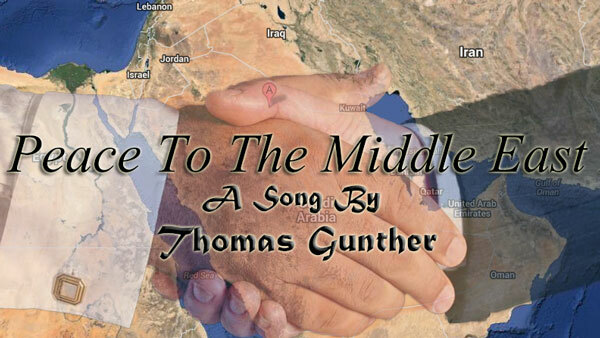 The Peace To The Middle East song is dedicated to all the victims of those horrible Middle East wars. I wrote this song in 2002 and recorded it finally as part of my Album Pamela Fernandez & Thomas Gunther’ Spicy Jazz Adventure. I performed/recorded all the instruments myself with the exception of the drum set (performed and recorded by Tom Hipskind). Listen to the song for free here. Is there a Silver Bullet to Successful Song Writing? You want to become a song writer, and a successful one at that. Unfortunately there is no silver bullet to successful song writing, no one method that would guarantee you that. However, there are a few things you can do that help you become a better song writer. This article will explore those things. There are many aspects to song writing that need to be mastered before writing great songs. Besides good song writing genes, there are some basic things that help boost your song writing skills. Most people don’t understand that listening, or more accurately, active listening, is the key requirement for becoming a good song writer. Question: would you belief me if I told you that Mozart was able to play the piano and compose music without ever hearing music before? Of course not! Although he was certainly very gifted he was also born into a very musical family and exposed to music from the very beginning of his life. My point is that before you can write music you first need to listen to a lot of songs. This may come as a shock to you, but we rarely invent something completely new when we write a song. Instead, most of the time we unconsciously “borrow” small ideas from other songs and rearrange them into something new. 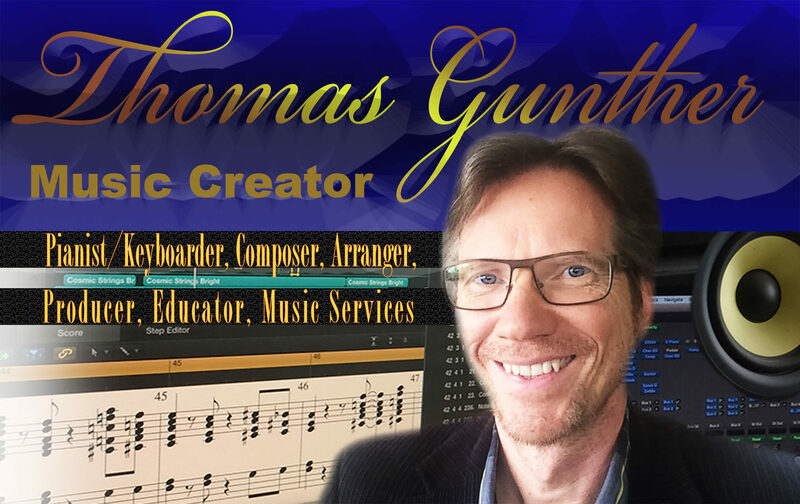 I guarantee you that you can analyze any contemporary song and find snippets of its harmonic progression and melody in thousands of other songs. Bottom line: you need to put something into your brain first before you can create something, and the more you put in the more it has to work with! There is no doubt that imitating, meaning playing and singing great songs from other writers, is the best way to get a deeper understanding of what great songs are made of. It will eventually inspire your brain to come up with its own songs. Perhaps they won’t be as good at first, but they will get better the more you do it, which brings me to my next important point, the importance of creating songs and archiving your ideas. We need to strengthen our creative muscle at all times. Write down or record every musical idea that pops into your head. If it worked for Gershwin, who was known for carrying a notebook with him at all times, it may just as well work for you. The most important thing is to just start writing. The writing process differs from person to person. Some like to have a message they want to share with the world, others like to start with a musical idea such as a melody, groove, or a chord progression. It may be even different with each song. What’s most important is that you let it flow, meaning don’t be judgmental, and just let your creativity take you wherever it wants to go. Later, you can think about it, analyze it, and change things, but not while you are in “the zone”. Make sure you immediately save your ideas. For example, I use my smart phone to record my ideas when and where ever I get them. Of course there is also nothing wrong with using pencil and paper. Just make sure you archive your ideas for later use. If you don’t you risk to loose an idea that could have become the main ingredient for the next big hit. You never know! 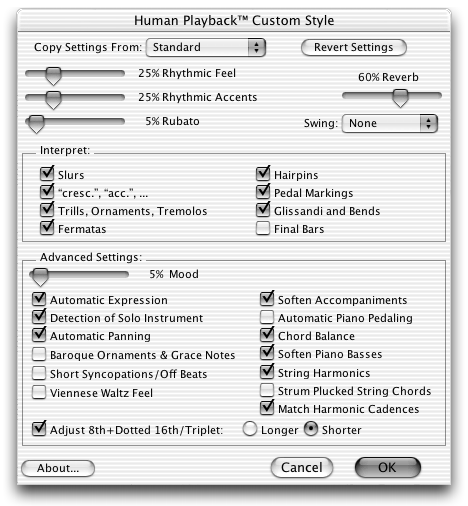 The keyboard is the only instrument that represents scales with their whole-steps and half-steps visually in a logical fashion. It’s a fact that all higher education institutions make their music students take piano lessons, whether they are classical, jazz, or pop musicians, regardless what other instruments they already play. Music theory is something a lot of song writers would like to do without. As a matter of fact, there are some successful song writers that never have taken a theory class in their life. If you want to write songs that only have two or three chords and a simple melody you may do just fine without any theory at all. However, I do believe that every passionate musician eventually develops a natural curiosity about how music works, why certain chords sound good with others, why certain notes sound bad with certain chords, etc. To me music theory was always one of the most fascinating aspects about music. I believe that a solid knowledge of music theory can definitely help your writing. It will also help you understand what great songs are made of through analyses of there different compositional elements which will most definitely inspire you to adapt some of them for your own righting. A note of caution! The theory can also get in the way of the music. Let me explain. After accumulating some music theory you might find yourself writing with your brain instead of your ear. As a result your song could sound engineered rather than inspired. This being said, once the theory is internalized, it usually inspires your creativity. For example, it may make you use a chord progression that you would have never thought of if you didn’t have a chance to explore it through music theory. Confused? Let me give you an example: there are actually many jazz and pop songs where it is quite apparent that the composer consciously or unconsciously applied learned theory to his/her song. However, those songs turned out to be great songs anyway because the composer obviously found a way to apply the theory in a tasteful and musical manner. In short, look at theory as another source of inspiration. Beyond that, theory also teaches us how to read and write music and chord symbols, and how music works. Do blind pianists have an advantage? Call me crazy, but I am convinced that blind pianists to some degree have an advantage over the rest of us. Let me explain. “We do not play with our eyes. We play with our touch, ears, and imagination”. Franz Liszt, virtuoso pianist – who was, by the way, not blind! Stevie Wonder: few know what a great jazz pianist Stevie actually is, because he is most famous for his brilliant song writing and singing. Listening to those brilliant blind pianists could indeed lead us to conclude that our eyes are unnecessary when it comes to playing the piano. For example, it is well documented that blind people have a better developed memory for acoustic events, a skill they are forced to develop in order to compensate for their missing eye sight, of course. Have you ever played the piano blindfolded? Blindfold yourself, or make the room completely dark, and play the piano. By the way, I take no responsibility for any insure or damage that may be caused by this experiment; watch your step! What was different from “playing with your eyes”? Did the keys feel differently? Were you focusing more on playing than usually? Did you make more mistakes? Which passages where especially difficult to play? I find this to be an amazing exercise that helps me sharpen my awareness of how I am sitting, the distance between the keys, the feel of the keys, the sound, all of which are things I usually don’t pay attention to. It also seems to increase my focus on the music, because there is no visual distraction that can get in the way. Maybe we should always play as if we were blind. Admittedly, being able to see the keys may give us a higher sense of security, especially when our hands travel great distances. But then again, Art Tatum didn’t miss a key even when he jumped over 3 octaves in a milli second. I observed famous concert pianists perform the most difficult music without once looking at their hands or the keyboard. Instead, their eyes are often directed towards the ceiling or straight ahead. I often wondered why they do this. Fact is that many brilliant pianists recommend not to watch the fingers and keys if at all possible. You may assume that not watching the keys, hands and fingers gives you less control, but it is just the opposite. Looking at the hands can actually greatly distract a pianist; not only that, but it actually might cause memory slips and other unwanted side effects. The key to playing the keys seems to be more than anything – as Liszt pointed out so poetically – in our touch, ears, and imagination. So let’s all close our eyes and focus on the music instead of staring at our hands! The sustain pedal is one of the most overlooked factors when it comes to ergonomic, pain-free piano playing. 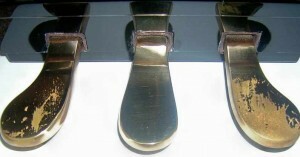 The function of the sustain pedal is to keep notes ringing without the need of holding down the key. This allows us to move our fingers to a different position while sustaining the notes, and blending notes for phrasing or other purposes. In this article I will focus on the sustain pedal as a tool to preserve energy and avoid any unnecessary tension. One of the things I observe frequently when students practice the piano is that most of them don’t utilize the sustain pedal enough or for the right reasons. (By the way, this may be simply because they practice on a keyboard at home that doesn’t have a sustain pedal, something that has to be discouraged.) Consequently, they hold down the keys as long as they want to hear the notes ring which causes them to barely find time to reach for the next chord. They also often spread their fingers unnecessarily wide. Both results in unnecessary tension and technical limitation. There are many problems that come with this kind of playing. Musical considerations set aside, the most serious one is the risk of injury. I strongly urge piano teachers and students to give priority to mastering the use of the sustain pedal. It will improve the students technique greatly and can help prevent long term injury. Working on a musical project usually comes with a deadline attached to it. 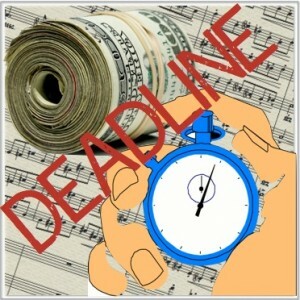 You may not think that most creative musicians actually benefit from a deadline. Not only that, they prefer it, because it focuses the creative mind that all too easily gets distracted otherwise. My best work happened under intense time preasure. It seems that I can stay more focused knowing that every second counts. Working under time pressure forces one to make the best of the limited time available. Of course this requires an enormous amount of discipline, along with the ability to make important decisions fast. For example, there is just no time to think about one chord for 3 hours. An other thing I learned working under time pressure is to focus on the big picture. Start with the basic structure first and then fill in the blanks. Embrace deadlines. They train us how to stay focused, work fast and efficient, and save us time. Start with creating a plan, a strategy how you want to get the job done on time. Break the project down into smaller tasks and attach mini deadlines to each of them. I like to create a fictionally deadline date that is scheduled 2 days before the actual date and really try to stick to it. This way I still have more time to get the job done or to make it better before the real deadline. Should we do it for the money? We are artists, and we are composers. Naturally, we have an urgent drive to follow our passion when ever creativity strikes us. It’s what makes us happy, whether we get payed for it or not… right? The real question is whether money can get in the way with our creativity. Personally, I don’t think so! In fact, on the contrary, money can actually greatly stimulate our creativity. This is especially true when we get hired or commissioned to compose for a huge ensemble. That way we get paid for doing what we love, and can be sure that our music will get performed or even recorded by an orchestra that we could otherwise not afford to hire ourselves. How can this possible be bad? Well, it isn’t bad at all! Some of my best work was created under a work-for-hire contract, with a tight deadline attached to it, and for good money. Sure, when you get handsomely paid, working is a lot more fun. But the best thing about it is that you can afford to focus on just doing that – composing good music – and drop other things you would otherwise have to do in order to pay the bills. But artists work best when they are poor, right? This is the silliest wide-spread opinion about artists of all! No, we don’t have to be poor and suffer in order to create great art, no matter what musical genre we work in. On the contrary, it actually helps us not having to worry too much about money, our health, etc. What we really need is time and the right conditions that help our artistic seeds to grow. For example, exposure. 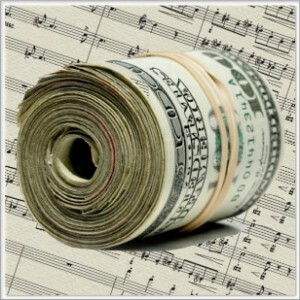 Composing your music for money means that you get paid for doing what you love. Strive for it! Composing music you don’t like just for money must be avoided. First of all, chances are you are not able to do a good job, and second of all, you risk getting known for music that you don’t like. Stay away from it! Don’t feel bad about asking for money when people want you to write for them. Don’t think that you have to do everything job for free until you are famous. This day may never come. Also, people will take you more seriously when you attach a price to your work. Deadlines are actually a good thing. They force us to be creative on demand without wasting valuable time. Deadlines usually come with the job; so you better learn to appreciate them. Don’t be afraid of challenging offers. For example, if someone asks you to write music for a symphonic orchestra don’t turn it down just because you haven’t done anything like it before. Take the job and trust you talent. There is always a first time for everything. When I first started writing music I did it for no other reason than for the love of doing it. Composing is fun and if creativity struck I just had to drop everything else and follow it. There was no past, no future, only the need to compose. In the past this would really get me into trouble. I was late for school, I composed during chemistry class, I even blew off dates with girls, just because I had to write down my ideas whenever they hit me. As I got older I learned to temper my urge to compose and manage my life in a way that I balanced my creativity with my responsibilities. After all, we have to make a living doing what we love! Should we compose music that might never get performed or recorded? Composing and writing songs is one of my favorite things to do. However, I have composed a lot of music that, unfortunately, has not yet been performed or recorded. It just sits on my computer hard drive waiting for its time to come. Does this stop me from writing music? Of course not! The main reason why I compose is because I enjoy it so much. But it also has some very positive side effects. For example, the more I compose the more skilled I become. As a professional musician, I have to stay competitive. This means I constantly have to study, practice, refresh my already-accumulated musical skills, as well as expand my portfolio; and what better way is there than writing music to do just that? Bottom line, writing is good for you, whether or not it is ever performed or recorded. Don’t worry about whether your composition may ever get performed or recorded. Just go for it! If you are just writing for fun, don’t limit yourself when it comes to the question of what instrumentation you should write for. Think big! 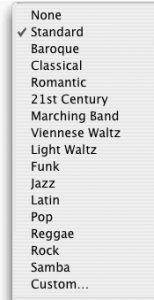 If you want to write for a 120 piece orchestra, just do it. Maybe one day someone will ask you to do just that. Then you’ll be ready. When ever we compose we engage our musical mind and expand our skill set. It’s never a waste of time. Even when you compose just for fun, always give it your very best. Work on it as it were your last chance ever to write great music. If you write something you don’t like, don’t hesitate to discard it. There is no need to keep it around; we can’t always be on our best. But know this: it is never a waste of time for us to engage in the writing process, no matter what the outcome is. I am sure you have your own thoughts on this. Please share them with us! You can write a commend to this post below.